This short collection of poetry covers a whole gamut of topics: parenthood, faith, illness, death and love. 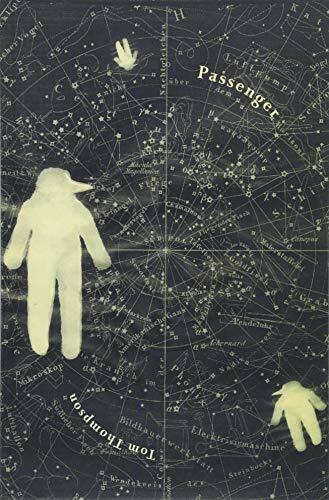 The title, Passenger, alludes to a journey. While the poems denote that all living creatures are on a journey of some sort or other, they also demonstrate that none are mere passengers, but also observers of the universe surrounding them. Thompson’s poetry is very emotive. It has many meanings, some of which are personal and hidden. Every person reading these poems will also bring their own interpretation to his poetry. Of course accuracy as to what Thompson, like most poets, actually had in mind when composing the poems is sometimes rendered redundant. However, this doesn’t lessen their value when the reader creates their own meaning, but rather enhances the equation process. One of the most imaginative poems in this collection is “0 Procurator,” which shows great creative imagination. For many, it might be the winning poem in this collection. An old Franciscan monastery in Brazil was besieged by termites which descended in a cloud and raided their food, furniture and earthen wells. A decision was made by the head monk to prosecute these invasive termites. However, he hadn’t counted on the spirit guiding the termites into forging a vigorous defence. As the poem states, “It was an argument larded with precedent and led in all grace and justice to a decision.” The judge in the case was the Lord God Almighty and he delivered his justice in a most swift and surprising way. This aside, the main theme that seeps throughout the book are poems relating to the world of epilepsy and those whom this condition inflicts. Thompson was moved to write these poems inspired by his son’s epilepsy; a cruel neurological disorder marked by sudden recurrent episodes of sensory disturbance, coupled with a loss of consciousness after convulsions. Medical experts state this is associated with abnormal electrical activity in the brain for which there is no cure. There are good poets and bad poets but it is clear that Thompson, thankfully, belongs to the latter. He is not a wannabe poet who can string together a few lines believing he will be the next Percy Shelley or Seamus Heaney. Thompson’s talent is evident. It will become clear even before you finish the book that he has reached a plateau unreached by other contemporaries, given the magnificent quality of his material. These are poems the reader will say aloud and appreciate the cleverness and imagination of their creation. And yet there is something unassuming about them. They are well written but unpretentious. This is a small but beautiful book and one that deserves to be cherished. Poetry lovers will be attracted like magnets and, thankfully, won’t be disappointed by their connection. This is indeed a collection of poetry which needs to be recommended and publicized because of its brilliance. Declan Henry is a staff reviewer at New York Journal of Books.